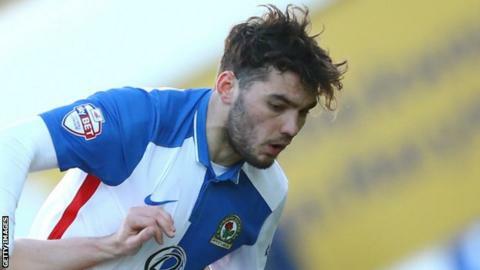 Blackburn forward Tony Watt is happy to be settled after playing for three clubs in his last three matches. Watt was on loan at Cardiff from Charlton, but joined Rovers for the rest of the season last week. He played for Cardiff against Hull on 13 January, Charlton against Blackburn on 23 January and for Blackburn against Oxford seven days later. "I'm happy to be settled and that the gaffer showed trust in me. With the players around me, it's very positive." The former Celtic striker almost signed for Cardiff on a permanent deal before the Bluebirds were placed under a transfer embargo by the Football League last month. "I had three days worth of medicals and I was going to sign on the dotted line when I got a text about the embargo," he said. "I'm happy I've moved on [to Blackburn]. We'll see what happens in the summer, I'd love to be working here with the gaffer."